Prepare Your Garden Before The First Frost! Should You Choose a New Internet Provider? A good entertainment blog, anyone? 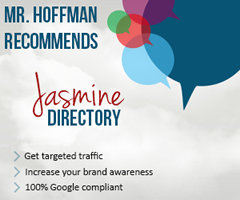 Mr. Hoffman's blog - addressing a wide range of topics, provides comprehensive information related to: business, finance, technology, SEO, Internet marketing and more!